On June 19, leaders of the two largest construction firms in Brazil, Marcelo Odebrecht of Odebrecht SA and Otávio Marquez Azevedo of Andrade Gutierrez, were arrested as part of an extensive corruption probe into the state-owned oil company Petrobras. Petrobras has been accused of various forms of malpractice including bribery and money laundering. While in the past, corruption in oil companies has led to blatant inaction—partly due to highly institutionalized venality—this probe has led to the indictment of over a hundred individuals affiliated with the company and has implicated dozens more. Bribes involving construction firms alone have totaled $2.1 billion USD and the scandal has cost the company over $16 billion USD. Accusations of corruption against Petrobras are emblematic of a larger problem across oil industries in the region, especially in Brazil, Mexico and Venezuela. Each new allegation seems to come with an increasingly dramatic loss of funds. Tackling corruption in an industry that has remained so crucial to the health of the Latin American economy is one method of helping to eliminate institutionalized corruption in other industries equally vital to economic success and to further augment political and economic credibility for the region. Corruption is not uncommon in Latin America. Global Financial Integrity reported in December of 2014 that the average annual percentage of illicit outflows from Latin America is equivalent to 3.3 percent of Latin America’s GDP. Meanwhile, the Institute for International Finance (IIF) reported in February that annual GDP growth for all of Latin America in 2014 was only 0.4 percent and forecasted that growth for 2015 will only be 0.2 percent. This means that the amount of money spent on corruption is over eight times that of region’s annual growth. The oil industry holds a particular importance because of its economic influence and utility on a global scale. In Brazil, profits from the state-owned oil company account for 13 percent of the country’s GDP, in Venezuela, 25 percent, and in Mexico, five percent. Furthermore, oil consumption is crucial worldwide. According to the United States Energy Information, the United States alone consumed 6.95 billion barrels in 2014, which amounted to 28 percent of the energy produced by oil and natural gas. Because of endemic corruption throughout the region, a lack of regulatory infrastructure against corruption, and the perpetual international reliance on the resource, corruption is especially ingrained in the oil sector. 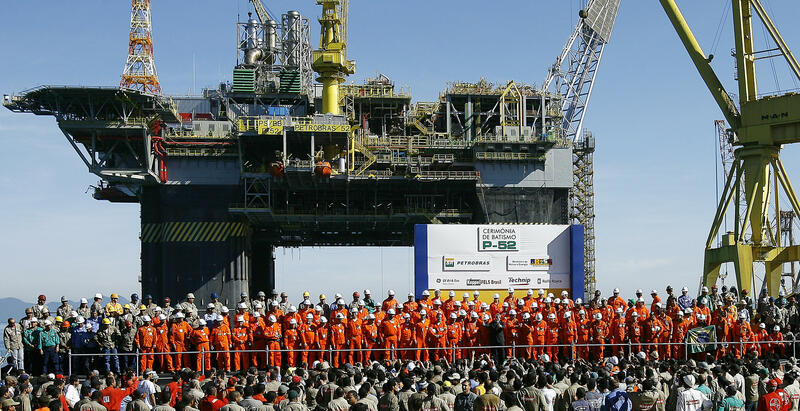 Tensions have risen as the Petrobras corruption probe implicates more individuals. Paulo Roberto Costa, former head of Petrobras, was one of the first to be arrested in 2013. Since then, he has become a witness to the state, supplying valuable information about corruption schemes and accusing many politicians of involvement. On March 6, a Brazilian Supreme Court justice called for the investigation of 34 sitting politicians suspected of involvement in the Petrobras corruption. Although most are members of President Dilma Rousseff’s coalition, and she herself was the chair of Petrobras while most of the corruption was occurring, she has not been included in the investigation and denies any knowledge of the questionable activities. Nonetheless, President Rousseff’s approval ratings have plummeted in response to the scandal. The Wall Street Journal reported on June 21 that 65 percent of respondents surveyed deemed her administration “bad or terrible.” The ratings have not been that low since 1992, shortly before the impeachment of President Fernando Collor de Mello. While the Petrobras scandal is not the only reason for President Rousseff’s current unpopularity, it has certainly put a dent in her reputation. On June 22, Brazilian federal police went so far as to call on US crime forces to help find another employee of Odebracht, Bernardo Freiburghaus. A police officer said the operation had a “clear message:” that no one would be able to avoid investigation and punishment. A company like Petrobras, with its extensive influence over the economy, has ties with most businessmen in the country, a number of whom should be concerned for their reputation. Corruption in Mexico’s state-owned oil company, Pemex, has not led to the same legal action that corruption in Petrobras has. In 2011, Pemex paid $9 million USD to tow an oil rig from the United Arab Emirates to the Gulf of Mexico. It was later discovered, however, that the rig was already in the Gulf of Mexico and didn’t need to be moved at all suggesting that the money spent “moving” the rig may have gone directly into the pocket of officials from Pemex and the towing company. Despite suggestions by government auditors that those involved in the contract be investigated, Pemex looked the other way. Other accusations have led to similar reactions by Pemex and government officials. In spring of 2014 Banamex, Citigroup’s Mexican branch, accused Pemex of fraud. Banamex accused Oceonagrafía—a company that supplies services to Pemex—of falsifying invoices so that Banamex was cheated out of $400 million USD. Citigroup claimed that Pemex was to blame for the loss of money due to its culture of corruption. While Citigroup claims to have fired numerous employees as a result of the scandal, Pemex has been faulted for its lack of action. Although allegations against Pemex have not reached the same heights as those against Petrobras, Pemex and the Mexican government are facing the same issues. While the Brazilian government looked the other way for years, it has started to make headway through its corruption probe. Mexico must do likewise. Venezuela’s state oil company, Petróleos de Venezuela, S.A (PVDSA), has been accused of a number corruption scandals as well. In March, the United States Treasury Department accused PVDSA of siphoning off $2 billion USD. Even so, the government’s response to corruption has been more aggressive than that of Mexico. In February, two officials, José Luis Parada, the production manager for PVDSA and Nubia Parada, the oil ministry official, were arrested on suspicion of corruption. The government in Venezuela relies on the oil industry for 45 percent of its revenue, far more than in either Brazil or Mexico. Now that falling oil prices are causing economic difficulties for Venezuela, ongoing anti-corruption efforts are even more important. These three examples suggest that corruption in the oil and gas industry in Latin America has become commonplace. Although the same could be said of many large industries in Latin America, the oil and gas industries are different in a few key ways. The World Bank defines corruption generally as “the abuse of public office for private gain.” However, Farouk Al-Kasim, Tina Soreide, and Aled Williams from the Anti-Corruption Resource Centre at the Chr. Michaelson Institute define corruption in the oil industry more specifically: “the manipulation of framework conditions to attain exclusive benefits to individuals or groups at the cost of social benefits.” This definition helps to show the inter-connectedness between politics and the oil industry and alludes to one of the costs of corruption when industry is intertwined with government: less money for social spending. Because oil companies in Mexico, Brazil, and Venezuela are state-owned, the government and individual companies are inextricably linked. In the case of Brazil, President Roussef faces significant challenges to her political career based on her involvement in the oil. On the other hand, many in her administration have been selected because of their connection to her while working at Petrobras. 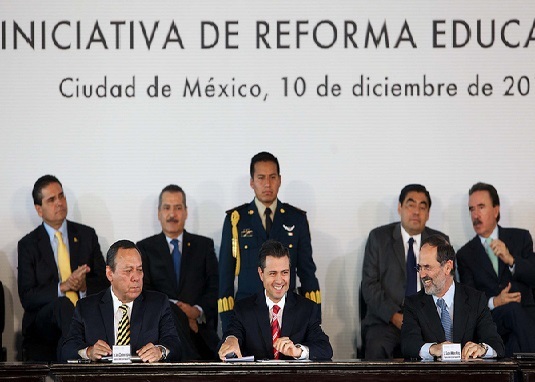 In Mexico, government control over the company is extensive: the president appoints the head of the company, the government’s energy minister acts as the chair of the board, and the finance ministry approves the budget of the company. Similarly, in Venezuela, the president and external director of PDVSA hold two top government positions; they are the Minister of Energy and Oil and the Vice-minister of Hydro-Carbons, respectively. With so close a relationship between the state and the oil company, the potential for political gain through involvement in the industry and vice versa is considerable. In Venezuela, Hugo Chávez gained control of PDVSA in 2003 and used this authority to finance projects aimed to close the gap between the rich and poor. According to an article in the New Yorker Magazine, Chávez demanded that PDVSA start anti-poverty projects such as building houses for the poor and increasing the number of jobs available in the company. These programs, largely state-led, and others—financed by taxes that Chávez collected from PDVSA and various other companies and individuals—led to a 37.6 percent decline in the poverty rate between 1999 and 2011 and a 57.8 percent decline in extreme poverty during the same period according to a 2012 report by Mark Weisbrot and Jake Johnston of the Center for Economic and Policy Research. With the state seizure of PDVSA the government realized new levels of social spending, allowing for a huge decrease in poverty levels. Clearly social spending has come from oil revenues. At the same time any losses in revenue to corruption will have led to less social spending making anti-corruption efforts worth the while. Some cite the “resource curse” as one of the reasons for endemic corruption throughout Latin America. This is the idea that many resource-rich countries have failed to develop by certain standards, for example, long-term growth rates, higher levels of equality, reduction in poverty rates, and overall GDP. Additionally, the resource curse can bring about a descent into corruption and political conflict. Al-Kasim, Soreide and Williams explain, “a majority of the oil-producing countries are below the median rank on both the UN’s Human Development Index and most of the World Bank’s Governance Indicators.” In countries that fall victim to the “resource curse” too much power rests in the hands of the elites who are tempted to commit fraud, as in the case of the Pemex oil rig. Such issues arise when there is little to no accountability for corruption. Additionally, developing countries must consider the importance of aid in an extraction-based economy. Few donor countries give aid for entirely benevolent reasons; this usually accompanies an investment in the debtor country and its resources. In oil rich countries there is a distinct desire for access to the valuable energy that oil provides and it can be challenging to curb this desire. Al-Kasim, Soreide, and Williams state, “It is not difficult to imagine how actual or potential conflicts of interest may arise between donor countries’ needs to access oil resources or supply oil related technology and services, and donor initiatives aimed at improving welfare benefits in oil-producing countries.” The conflict of interest between donor countries and debtor countries increases the potential for corruption in the creation and execution of aid-deals. If the leader of an oil-rich nation suspects that the donor nation is exploiting the country for economic gain, the temptation to siphon off money or take advantage of the donor country increases, as they don’t believe the deal is fair anyway. In an article for the Journal of Economic Growth, Simeon Djankov, Jose G. Montalvo, and Marta Reynal-Querol, describe another concern. They claim, “foreign aid could lead politicians in power to engage in rent-seeking activities in order to appropriate these resources and try to exclude other groups from the political process.” Aid deals, whether they include oil concessions or not, can be dangerous for the governments of developing countries because they open avenues for corruption in and out of the government. Persistent corruption boils down to a lack of accountability within government in regards to the industry. True, there is rampant corruption around Latin America, advanced by the resource and aid curses, but the fact that few, if any, resources are allocated to regulate those industries especially prone to corruption exacerbates the aforementioned issues. Charles Laurence of Alix Partners, a global business advisory firm, claims that South American countries often “lack the infrastructure and controls necessary to combat corruption, or they may possess a cultural dynamic that heightens the risks associated with bribery.” In the oil industry, some regulatory frameworks have been created, but in many cases they have proven ineffective. Furthermore, there are outside limitations to the regulation of corruption. According to Al-Kasim, Soreide and Williams, “how well the oil industry functions [depends] not only on the robustness of the regulatory framework but also on the efficiency and capacity of the regulatory institutions.” Furthermore, a framework to regulate corruption is nothing without honest people, who have an incentive to remain honest amidst temptations to cheat. In the last few years, Pemex has been implicated in corruption scandals countless times, yet no one has been arrested or indicted. Arturo González de Aragón, formerly the head of the Federal Audit Office stated, “in Mexico, no one gets punished. If you don’t punish anyone, impunity becomes a perverse incentive for corruption.” The lack of punishment encourages people to remain corrupt because it allows them to get ahead on both a personal and business level. Even though Mexico has a regulatory system in place—the audit office issues recommendations for cases that companies should investigate—the system leaves too much responsibility in the hands of the company itself. From 2008 to 2012, the audit office submitted 274 recommendations to Pemex; Pemex responded to 268, with only three resulting in action. In all three cases, “action” consisted of a brief suspension without any kind of subsequent legal action. Inside Pemex, members of the Public Administration Agency (Secretaría de la Función Pública) internally manage the recommendations by the Federal Audit Office; however, even though these agents are technically government officials and not Pemex employees, Pemex pays them and they work in Pemex offices. Such a system foments reluctance to take action against the company. This is a complete failure on the part of the regulatory framework because an employee will likely be loyal to the company that pays him or her, not the government. Because the government officials feel that they are part of the oil companies it is unlikely that they would implicate their own company on charges of corruption. Brazil faces a slightly different problem. A complex tax structure has led to extensive opportunities for bureaucratic corruption. Charles Laurence states that, “Such a framework may make companies susceptible to tax collectors who request bribes in exchange for relaxing tax assessments and inspections, or for refraining from pursuing alleged acts of tax fraud.” The more people involved in transactions, the more risk there is for corruption or bribery. With a complicated tax structure, numerous tax collectors have the opportunity to take advantage of corporate loopholes. Without a restructuring of the tax system to avoid so many levels of transaction, corruption risks remain high. Such oversight in regulation is one of many reasons that corruption persists in the oil industry, with all its damaging effects. A lack of rules in the oil industry leads to both political and economic repercussions. According to a 2000 study in Economics and Politics, “corruption…retards economic growth.” Because such an influx of much money is directed towards illicit outflows rather than legitimate business channels, companies fail to reach their full profit potential. The report asserts that it is not only the growth of companies themselves that slows, but also the economic growth of the companies’ nations. In the case of these three oil companies, lower profits mean diminishing government revenues. Decreased revenue leads to “decreased investment in physical capital.” Without investment in capital, industries perpetuate inefficiencies leading to a lack of growth. Furthermore, without demonstrating economic potential through high growth rates, outside investment in the country decreases. Investment by large countries in key industries in Latin America increases economic integration in the world market and introduces more money into the domestic market. Additionally, with high revenue, governments can spend money on welfare programs, job creation, and infrastructure growth. However, social programs are the first to get cut in the wake of slow growth. Far-reaching effects of corruption impact small business owners who refuse to enter a corrupt market, large industries that would profit from from infrastructure spending, and the country’s poor who do not receive welfare benefits. Combating corruption is particularly challenging not only because such corrupt practices have become so engrained in the Latin American business culture, but also because it perpetuates itself. When bribery becomes common in larger companies, small business owners have to engage in the same kinds of bribery in order to compete with the larger companies. Bribery is thereby a necessity of survival for small businesses. Corruption in old or large businesses forces corruption on new or small businesses, and when old businesses try to abandon corruption, new businesses force them back into it. Corruption becomes a vicious cycle. Corruption results in political consequences as well. When corruption goes unchecked, regime legitimacy declines. People begin to lose faith in both the political system and the particular regime. This is especially noticeable in the case of President Rousseff in Brazil, whose approval ratings have plummeted in the wake of the Petrobras corruption scandal. In an article in the Journal of Politics, Mitchell A. Seligson states that “exposure to corruption erodes belief in the political system and reduces interpersonal trust.” Lack of trust in government and in people has damaging effects—presidents face impeachment, governments face coups, and, as a result, citizens face strife. Corruption is a problem on any level, but the oil industry—and the vast wealth gained from it—pose particularly difficult problems in Venezuela, Mexico and Brazil. Recent accusations of corruption have drawn more attention to the issue, but falling oil prices make combatting corruption ever more important. On July 6, oil prices fell 8%, the largest drop in a single day in three months. Given the reliance these countries have on revenues from the oil industry, further drops in oil prices could be disastrous. Recovering some of the money lost to corruption so that the oil industry can sell at its full potential is a crucial step if countries want to commit to having additional money for welfare and infrastructure spending. While some might argue that state-run companies lead to a greater risk of corruption in both industry and government, the fact that the state is heavily involved in the industry actually offers more potential for solutions. Citizens can exercise the power to lobby the government for an end to corruption as they have. In Brazil, protests demanding Rousseff’s impeachment broke out in March. 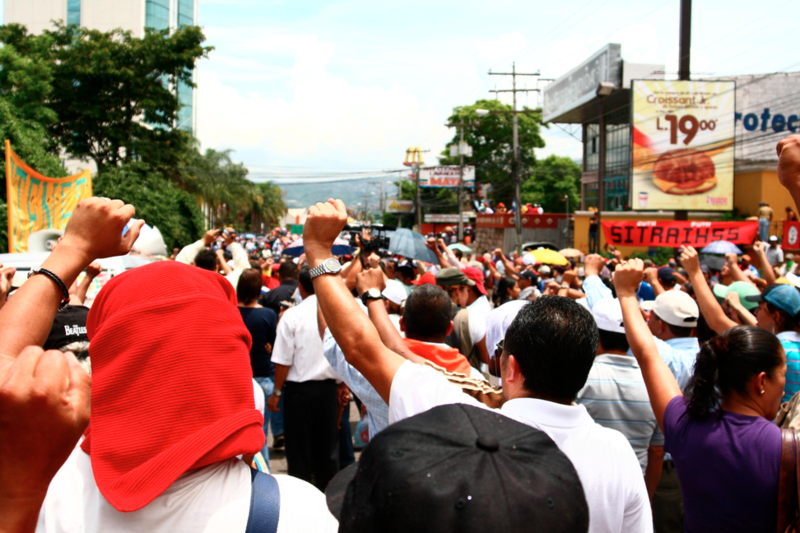 An article in the Economist speculates that, “as Latin America grows richer, more educated and more equal, citizens will press harder for honest politicians and officials.” Venezuela, Brazil and Mexico have an opportunity here, an opportunity to fight for their citizens, to fight for economic success through their oil industries, and to fight against corruption. With falling oil prices, lowering corruption costs and finally producing at full potential could make the difference between success and failure.